Responsible for assuring that trucks and trailers are positioned in the appropriate location and that they are maintained and functioning properly. Position trucks and trailer at the appropriate dock location. Turn on refer units and ensure the units are functioning properly. Ensure the cooler and freezer areas of the trailer are at appropriate temperatures prior to products being loaded. Hook tractors with assigned trailers. Deliver truck to fuel island for re-fueling purposes. Make special deliveries and pick-ups utilizing a non-DOT vehicle. Run equipment through wash bay and hand polish chromes wheels and bumpers as assigned. Maintain daily activity log to reflect positioning, fueling, repairs, etc. by equipment and type. Hand polish chrome wheels and bumpers. Sheetz, Inc. is a fast-growing, family-owned, food/convenience company that has been in business since 1952. 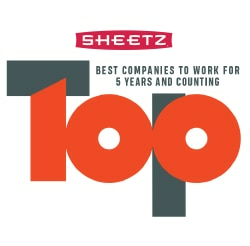 Sheetz has numerous locations in Pennsylvania, Ohio, Virginia, West Virginia, Maryland and North Carolina where we have ranked Best Places to Work in those states participating in the program. Our mission at Sheetz has been to meet the needs of customers on the go. Of course, things have changed over those 60+ years. Life is faster and busier, and customers expect us to be there when they need us most. One thing that hasn't changed is our commitment to our customers, our employees and the communities in which we operate. Sheetz donates hundreds of thousands of dollars every year to the charities it holds dear.